I bought a Beard trimmer from Tophatter not realizing it came with European power cord with the 2 long prongs instead of a regular US plug. So power input is 230v-50Hz only, where most plugs are rated for 100-240V - 50-60Hz. 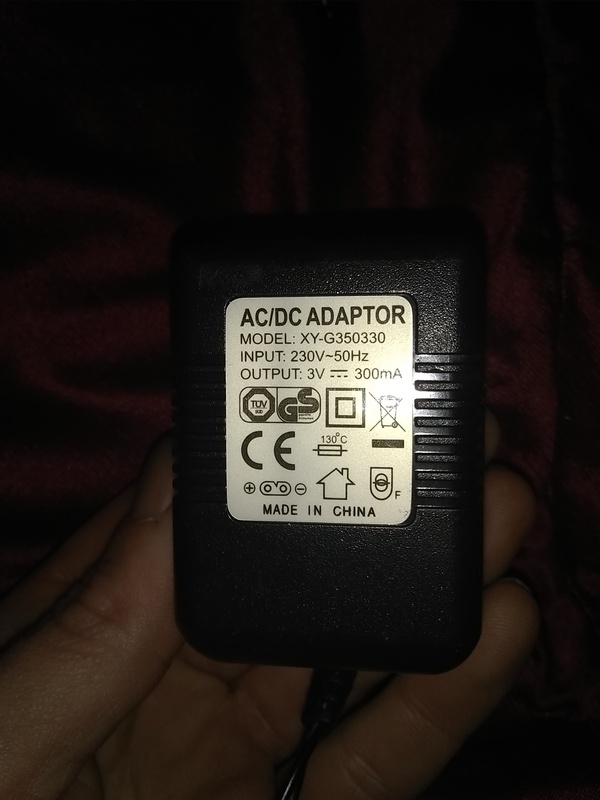 So my question is, where this plug only supports 230v, I'm probably going to have to actually buy a power converter to convert the input right? I can't just buy a EU to US adapter plug and plug it in can I?! It looks like that adaptor is only designed for 230 V, 50 Hz. Using it with US power would be unsafe. However, you may be able to find another adaptor at a local electronics store which has the same shape output (the 3 V end, shown in schematic form between the ⊕ and ⊖ on the label). I don't recognize that particular shape and it's not shown on the IEC 60320 Wikipedia page, so it might be nonstandard. (I am assuming you can physically unplug the adaptor from the trimmer itself.) Bring your adaptor to the store and get somebody to help you find one of the correct size and specifications. You could theoretically use a voltage converter device, but those cost more and are somewhat bulky. Not the answer you're looking for? Browse other questions tagged usa eu power or ask your own question.